Robert Polich was born on June 7, 1921, in Crosby, Minnesota. 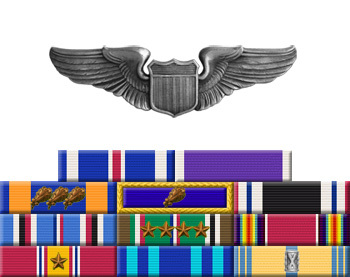 He was drafted into the U.S. Army in early 1942, and served for a short time with the Coast Artillery before entering the Aviation Cadet Program of the U.S. Army Air Forces. 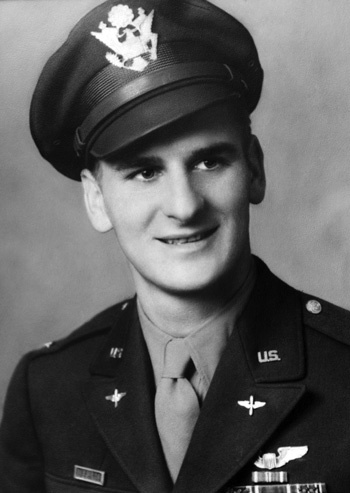 Polich graduated from flight school and was commissioned a 2d Lt and awarded his pilot wings on October 1, 1943. He was trained as a B-17 Flying Fortress pilot and arrived in England on April 8, 1944, and began flying combat missions later that month. Lt Polich served with the 365th Bomb Squadron of the 305th Bomb Group and was shot down while flying his 29th combat mission on August 24, 1944. He was immediately captured and spent the next five months in a German hospital recovering from injuries he received bailing out of his stricken aircraft. Polich was then moved to the POW camp Stalag Luft III near Sagan, Poland, and was later road marched to Stalag VIIA near Moosburg, Germany. He remained a Prisoner of War of the Germans until his POW camp was repatriated by the U.S. 14th Armored Division on April 29, 1945. Lt Polich returned to the United States on June 21, 1945, and left active duty on December 1, 1945. He stayed in the Air Force Reserve after the war, and retired on February 1, 1966. Robert and his wife Eunice have five children.